Software security is a serious problem, and it is garnering more and more attention. However, the processes that go into making an application more secure are relatively immature. Where do you start? 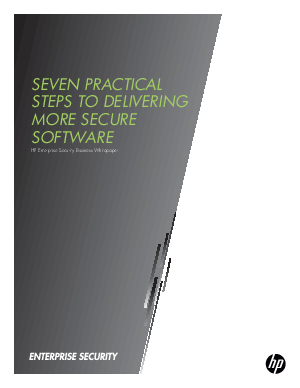 This paper provides seven practical steps organizations can begin today - with the emphasis on practical.